ARTISTS Here are the people who support the world's No. 1 bonsai culture in Takamatsu. Mitsuo Matsuda, fourth owner of Matsuda Seishoen, said he should think as if he is the first owner and try his best for his bonsai garden. After graduation of Takamatsu National College of Technology, he had been to United Kingdom to learn English for 8months and then transferred to Kagawa University. At that time he didn't think to be the next owner and took civil-service exam. His turning point was at the age of 24. A bonsai expert of Kokubunji town said to him, "Think it over carefully. Many black pine trees in the field will be yours in the future." Then he decided to work for bonsai and started to learn it from his father, Kenji. "It's not like you can have a sense and technique if you take over someone," Mitsuo said. He goes to all over the world to develop the technique. He is so inquiring as to think the foliage and how to make when he see the pine of the old picture in the exhibition. He exhibits his bonsai at the Nihon Bonsai Sakufu-ten every year and his azalea bonsai won the first prize, 'Hana Ippai Association Prize'. "There are many great bonsai artists. Even if I lose the competition, I can improve my skill by seeing other works. It's good experience for me to participate the Nihon Bonsai Sakufu-ten," Mitsuo said. He is also familiar with pots. He thinks pots are costume for bonsai trees. "People enjoy the beauty of bonsai trees and pots. The pots can control it. I'd like to show the bonsai beauty with the best pot." 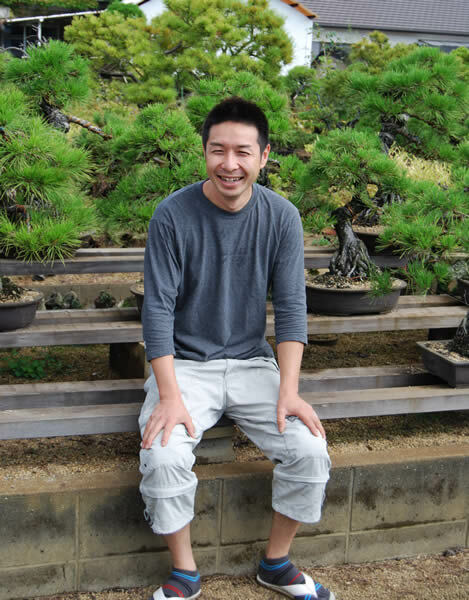 Mitsuo sees the tradition and innovation of bonsai with his wide view. He said, "I respect the bonsai culture of Kinashi town which was made by the predecessor so I'd like to pass it to the following generation. 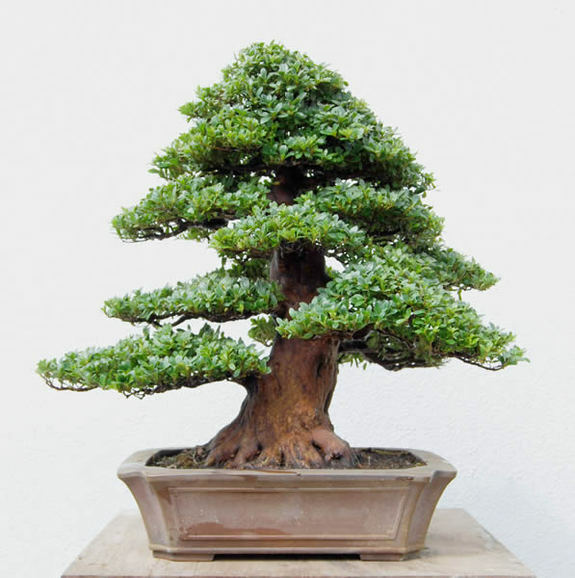 And also I'd like to see other bonsai cultures and learn it as a part of my training." He is still seeking his own bonsai.